The UK Roundtable on Sustainable Soya (UK RT), supported by the Department for Business, Energy and Industrial Strategy (BEIS), brings together leading UK food companies and industry associations, providing a pre-competitive space to discuss and work together towards secure, resilient, supplies of deforestation-free sustainable soya to the UK. The UK RT launched in March 2018 and now has over 30 members, including the major supermarkets, protein producers, farming organisations, including the NPA, feed industry, foodservice and soya traders. Members committed to publish their own public commitments to sustainable soya, including time- bound delivery plans, by April this year. We have already seen new policy commitments from Tesco, Lidl and Asda. Members receive free expert support and opportunities to engage with key actors across the soya industry. The UK RT links to other similar initatives across Europe and in China, to learn lessons, look for opportunities to align approaches and, through our combined leverage, strengthen the market signal for sustainable soya. About 90% of soya consumed in Europe is used as animal feed and the vast majority of this is imported from South America and other soya producing regions. The expansion of soya production has been a significant driver, alongside beef, timber and other forest commodities, in the loss of forests and other native vegetation in South America, with impacts on bio-diversity, carbon emissions, water systems and local communities. It is estimated that deforestation and forest degradation represent between 10 to 20% of global ‘man-made’ C02 emissions. Considerable efforts have already been made by industry to halt deforestation through initiatives such as the Amazon Soy Moratorium that, since 2006, has dramatically reduced forest loss in the Amazon Biome, but global demand is continuing to drive soya expansion. While many European countries, including the UK, are exploring ‘home-grown’ soya or alternative plant proteins, volumes are currently small and could not replace imported soya. For consumer goods companies there is increasing scrutiny to accelerate efforts to ensure soya is responsibly sourced. 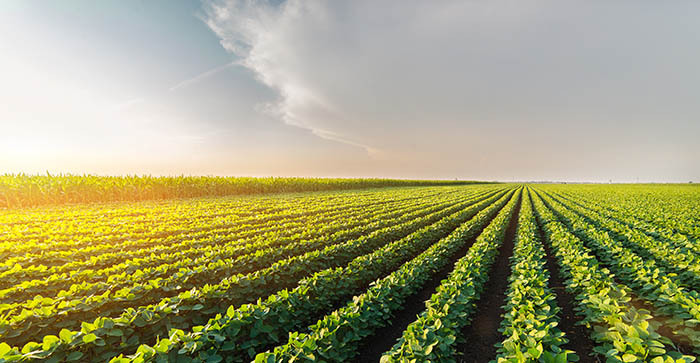 For all businesses using soya, including the UK livestock industry, securing supplies will be dependent on sustainable production methods in producing countries that protect the eco-systems upon which future crop production and livelihoods depend. Click HERE for the current list of RT members. To learn more about the UK Roundtable on Sustainable Soya, contact rose.mcculloch@efeca.com.